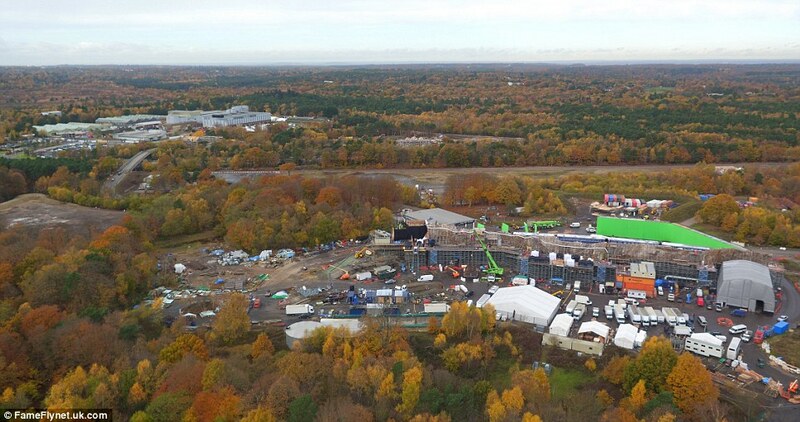 I have often featured such studios as Denham ( my own favourite ) as well as Pinewood, and Ealing, but I did not know of Longcross Film Studios Near Chertsey in Surrey - just off the M3 and M25 – until the release of the new version of Murder on The Orient Express. It was made at Longcross which is a former MOD facility. This is from the 1950 Preview Annual – if anyone knows or has one of these JIG SAW PUZZLES for sale then I would be very interested. The film is available from Renown Pictures – and has no doubt been cleaned up and I have no doubt the print will be excellent – as they are these days. The computer world has certainly transformed some of the older films we see – with the picture now rock steady and clear – in some ways it takes away a little of the fun from when the titles seemed to jump around a little and the odd blemish appeared on the screen at times during the film. 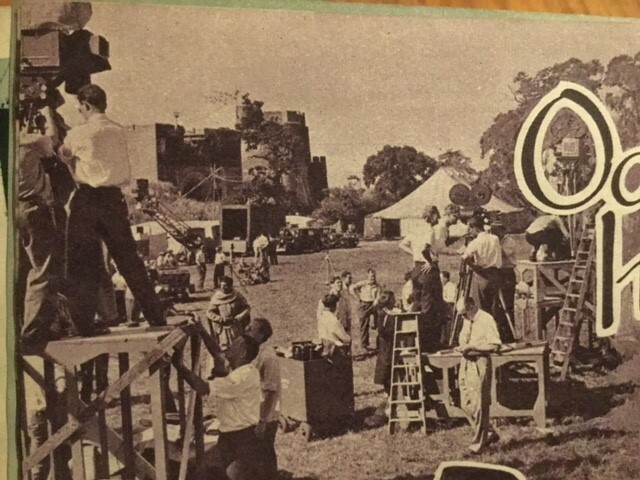 Just come across this great picture of the actual filming of Ivanhoe during the summer of 1951 at Elstree. 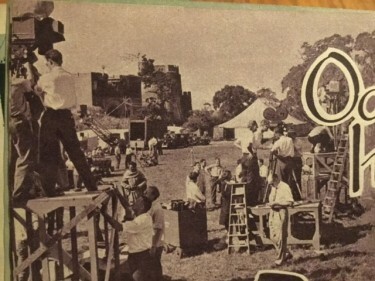 Torquilstone Castle was built in the grounds of Elstree and this picture shows up to THREE Technicolor Cameras ready for an action scene – and a very busy set it looks to be. 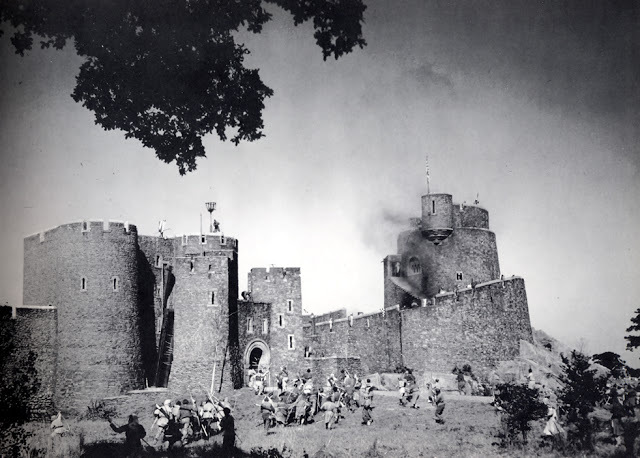 Two years before the shooting, Torquilstone Castle had been built at Elstree, as a full-scale replica of a twelfth-century fortress. The moat was cut around the set and the castle and was twenty feet wide and ten feet deep ! 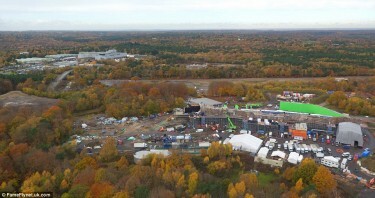 At the same time as this was being filmed, at Elstree, Walt Disney was filming The Story of Robin Hood and His Merrie Men at Denham Film Studios. Two big and memorable films in the making virtually at the same time. I loved the Disney Story of Robin Hood film though. 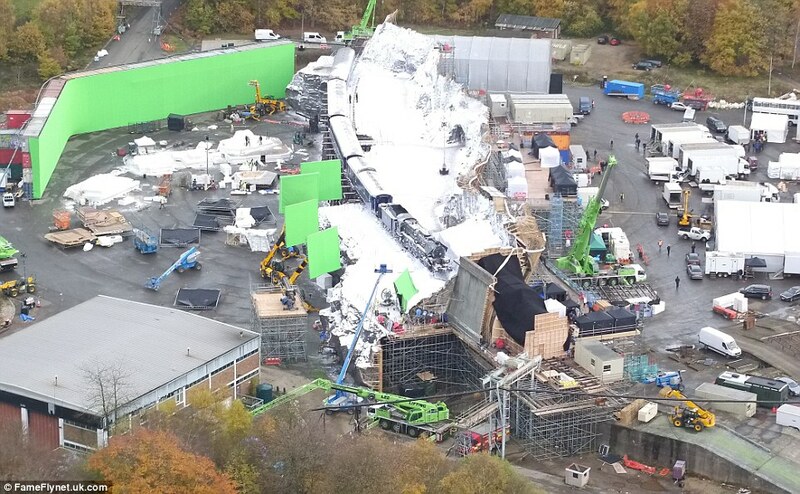 Just imagine if any of us could have been around there at the time, we could have wandered between Elstree and Denham – and Burnham Beeches all of that summer – In film terms it would not get much better than that. I was very happy yesterday to find this new edition of Movie Memories arrive in the post. This is a really excellent publication – and this one is the Summer Edition published a little later than normal because the Owner and Editor Chris Roberts has been unwell. Happy to report that he is well and on the mend now. 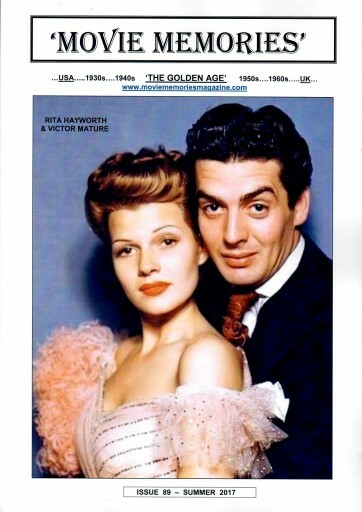 Above: Victor Mature and Rita Hayworth in a lovely Colour Picture from the film. These TWO were Film Stars in the real sense – OUT OF THE TOP DRAWER !!! 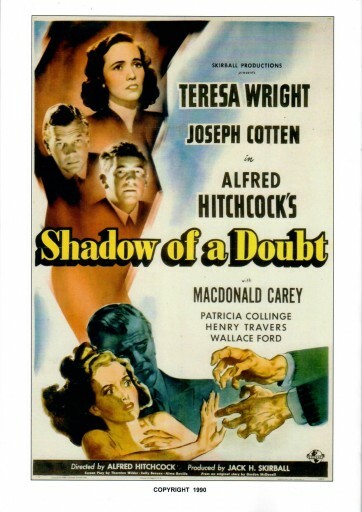 On the back cover of this publication as another great Colour Poster – Shadow of a Doubt – a very good film indeed. 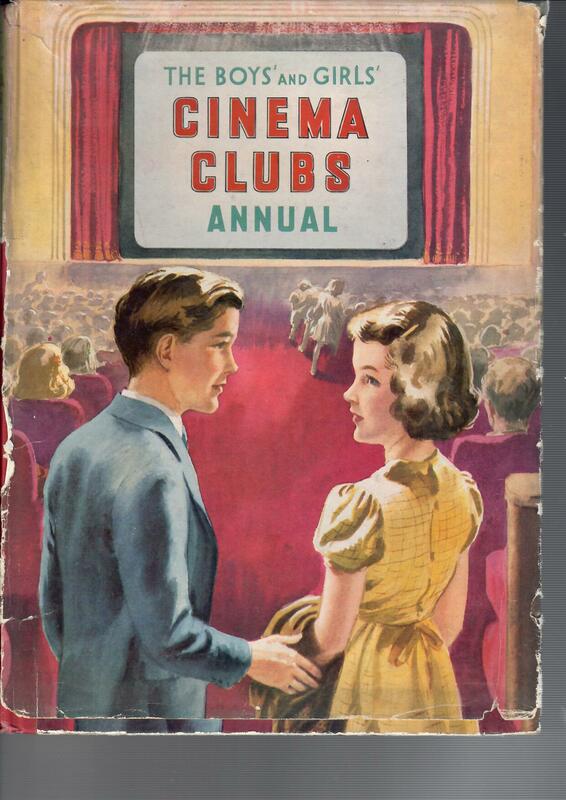 I come back to a subject that we have done before – the Film Annuals around in the early Fifties – and this ione is the Boys and Girls Film Cinema Clubs Annual for 1950 I would think. 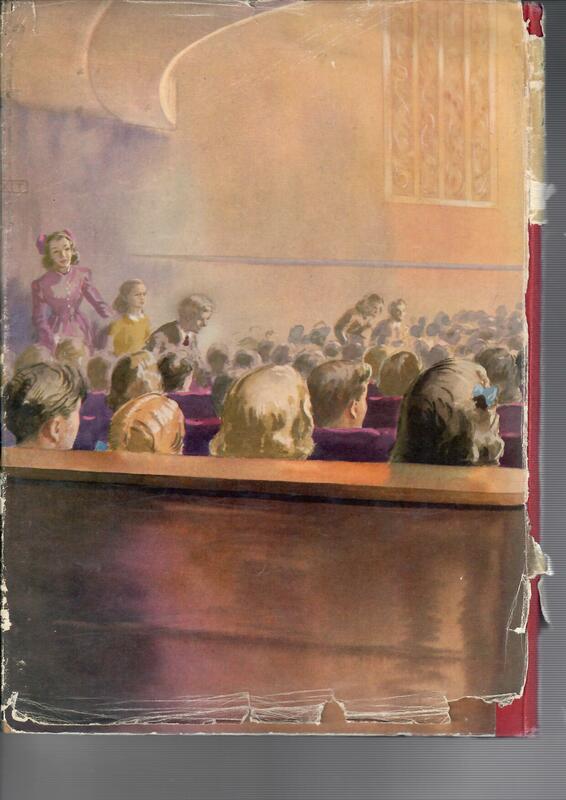 This – above and below – is a scan of the Dust Jacket although, when taken off the actual hard back of the book has the same colour pictures. Inside we have a number of Colour Plates – and I have to say some of those have a colour that is stunning and that we rarely get today – and why that is I do not know. There is a nostalgic element to this of course, as we go back to our childhood and remember the Christmas Presents we got – and the Film Annuals were very much a part of that. That must have been the case for a lot of children, because there are so many of this type of book available – just think of those marvellous F.Maurice Speed Film Reviews that carried such detail about every film released in the year as well as previews of what was to come. There were many more – and I have a large collection of such books – but as is is the case with every collector no doubt, you are always looking for another one you have not seen – or an article or press release or whatever. I purchased, some years ago, quite a lot of Film Annuals and inside there were a lot of press cuttings – in almost all of them – giving snippets of information on the Film Stars or on the films they were in. 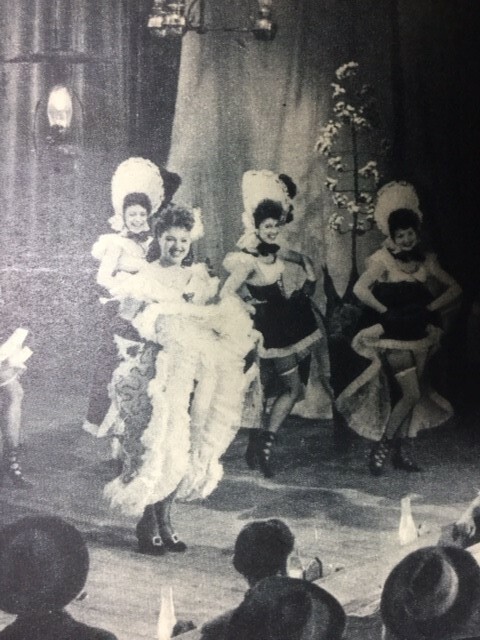 I have a feeling that this film would have done well if it had been filmed in COLOUR – but it did not do well at all – even though it had some very well known, mainly British, Stars of the era. There were FOUR jig saw puzzles issued at the time – – and I have just been lucky enough to get hold of this one called Hope Town Bar. The other THREE are titled Crossing The Vaal, The Can Can Girls and Looking for Trouble. 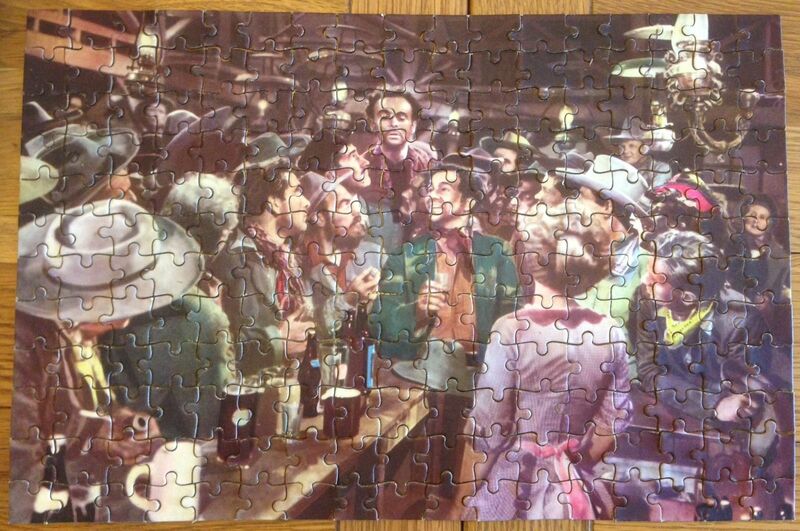 As a child I remember getting at least one of these Jig Saw Puzzles for Christmas – and I think that would have been Christmas 1950 or 1951 and I seem sure one of them was Crossing The Vaal and also The Can Can Girls. My Mother and Father would have bought these for me – I was like my Mother, she loved the films too, so no doubt she would have chosen these puzzles and probably helped me do them too. The film is not easy to get hold of and is not one of those that come back time and again on Television – in fact I cannot remember it being on at all. The story was set in South Africa and in fact a crew were sent out late in 1948 to film exterior scenes although I don’t know that any of the actors went – most of the filming was done at Denham Film Studios. 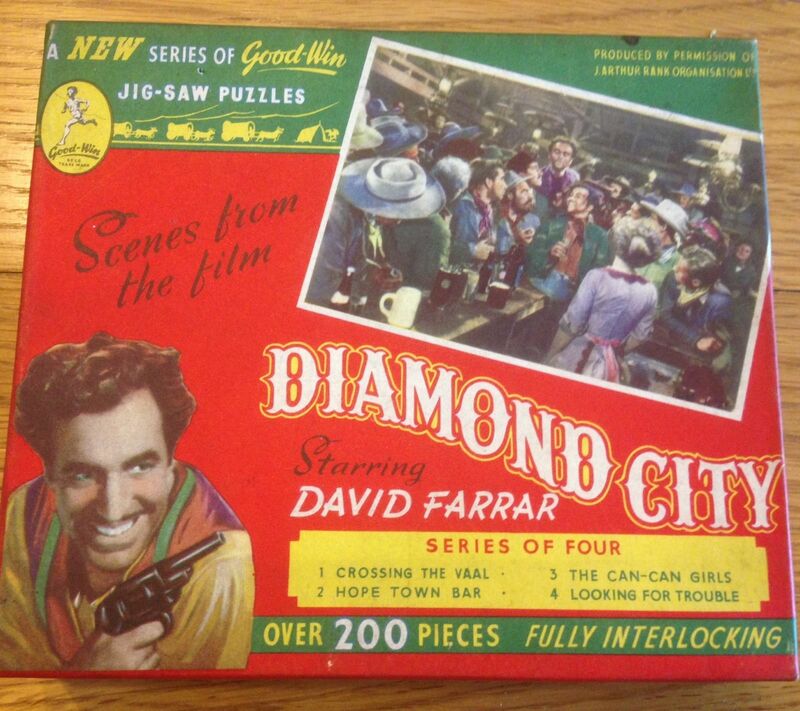 However it did say in an article I read that filming was held up for a time due to the illness of David Farrar – one of the stars of the film. I do know that after retirement he went to live in South Africa, and in fact he died there in 1995. So maybe he went out there to film some scenes, then became ill after he got back, and in the process of the filming he developed a love of South Africa – I don’t know – this is just speculation. The Film was based on the true story of Stafford Parker who was elected president of the Diamond Diggers Republic in 1871. The film was planned in 1945 as Digger’s Rest and was to star Stewart Granger from director Leslie Arliss. “This Parker was a born fighter, a great, husky guy”, said Arliss. Patricia Roc was to play the Salvation Army girl with whom Parker falls in love. However Patricia Roc was named in a divorce case involving Fay Compton sfter she had an affair with Fay’s husband at that time - Ralph Michael – who we remember from the classic Dead of Night 1946, and Gainsborough reportedly dropped her from the film as a result. Eventually the male starring role was given to David Farrar who had received acclaim for his performance in Black Narcissus. It was directed by David MacDonald who must havebeen going through a sticky patch because he had direct Christopher Columbus earlier and that had proved a very expensive flop. Diana Dors played the role of the saloon keeper when Jean Kent was unavailable. It was Diana Dors’ biggest part up to that time. 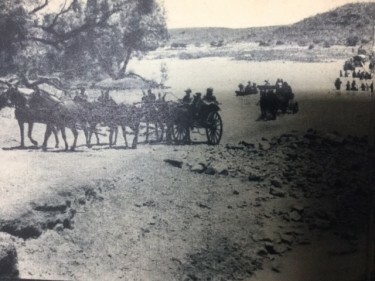 The film was seen as an attempt by producer Sydney Box to compete with Eureka Stockade (1949), another British film set and shot in Australia.